Using the Google Play Store is pretty simple: you pop open the app, search for the app you want to download, and install it on your device. Aside from learning the best Play Store tricks The Best Google Play Store Tips and Tricks for Android Users The Best Google Play Store Tips and Tricks for Android Users These tips and tricks will change how you use the Play Store. Read More , that’s about all there is to it. But what happens if you move to a different country? You’ll need access to the proper version of the Play Store for billing information. And Google Play features different apps for various regions, as well as different music you can download on Google Play How to Download Music From Google Play to Your Phone How to Download Music From Google Play to Your Phone Love Google Play Music but want to listen offline? Here's how to download music from Google Play directly to your phone. Read More , sometimes allowing or blocking access to certain apps. 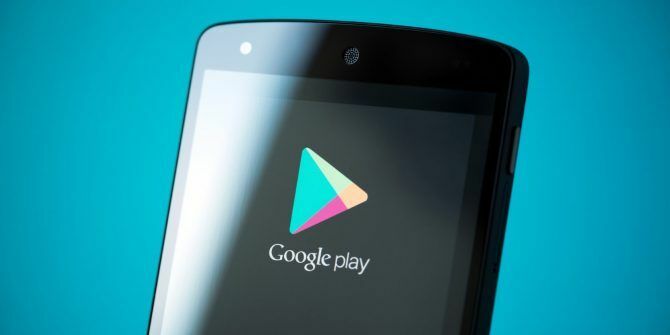 Whether you’ve recently moved or want to try accessing another region’s Play Store (which comes with a big caveat), here’s how to change your country setting in Google Play. Slide out the left menu and select Account. If you have access to the country-switching option, you’ll see a Country and profiles entry in this menu. Tap this Country category, and select your new country. Review the warning prompt and accept the change. Once you’ve switched countries, you’re free to browse the Play Store for that region. So we only recommend doing this if you’ve actually moved countries and plan on staying for at least a year. Explore more about: Google Play Store, . ExpressVPN can do this too. I've changed my region from the US to the EU multiple times. How can I do this? I've moved from Asia to Europe and really need to change the location in order to use some apps, but the option to change country doesn't appear on my account setting. I read somewhere that you can only change your country once per year but it's ridiculous because I moved countries more than once and so do a lot of people in the world..